My newest Making Rows quilt arrived back home from Sew Shabby Quilting this past Friday (you can see the beginnings of this quilt here, here, and here). It is all Pat Bravo, from her lovely Rapture collection with a few coordinating Pure Element solids. It's backed in my favorite Wild Beauty print, with 100% cotton batting. Rather than quilting it with my machine, I sent it off to Melissa for some long arm quilty swirls and loops! Today I'm ready to bind with an AGF Squared Element in Noir! Since I didn't have a solid plan when beginning this quilt, just a simple quick sketch of a few rows of pattern ideas, this one became another make-as-I-go 'throw size' quilt, my favorite size to make! 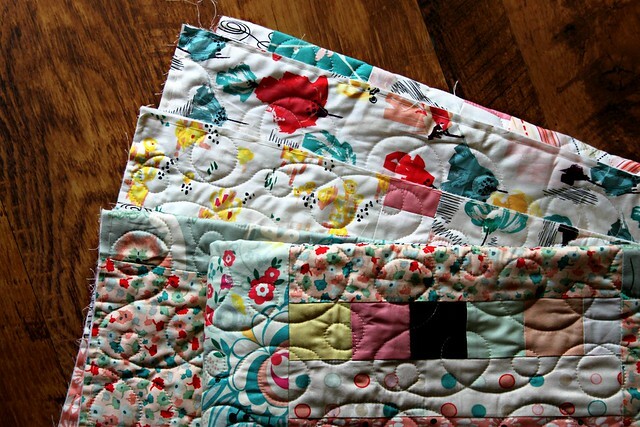 With these improv style of quilts, I simply stop when I start running out of fabrics! On Saturday I took this unfinished quilt, along with the four others I have finished so far this year and my current Endless Summer wip, and demonstrated my quilt as you go technique at the Potter County Artisan Center Grand Opening. I got a little nervous setting up since there aren't many opportunities locally for me talk about my work, but realized quickly that when it comes to speaking about quilting, I have a lot to say! It was really fun! The experience left me with plenty to think about, and has certainly sparked in me an interest in speaking and teaching more often! I'm quite the lonesome modern quilter here in Potter County, Pa and realize that if I were to offer sewing/quilting classes that I won't be blessed to see many of you wonderful readers. However, your feedback is always incredibly helpful! So I'm wondering, how many of you have taken a sewing/quilting class? Do you prefer an online workshop forum such as Crafty or Creative bug or do you like to attend face-to-face classes and retreats when you have the chance? How have classes added to your skills as a quilter? Thank you in advance for sharing with me today! 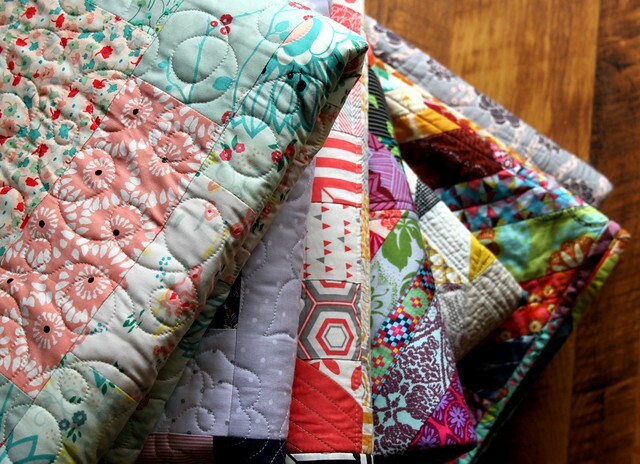 Your quilts are so pretty, no matter what the category ! I always enjoy how you photograph them. I am enjoying the calendar too! I enjoy your quilts. 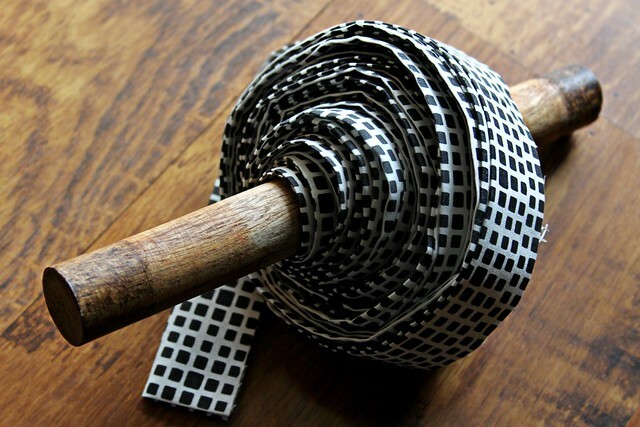 How do you quilt as you go? Have you ever thought about make a video on how to do this? My first experience with quilting classes was the Craftsy 2012 Block of the Month class. It helped me so much and I learned good techniques. I will be attending my first retreat and will take a class from Jenny Doan from Missouri Star Quilt Company. That will be in June. I will also be taking a class in free motion quilting. I am really looking forward to that. I really want to learn your QAYG method. Your quilts are always such an inspiration to me. Hi Maureen. I took a "pillow sham" class at a local quilt shop. It was not a good experience for me. First, the class was cancelled then rescheduled for a day/time that was inconvenient for me, but since I had already paid, I made arrangements to get there. Then, the instructor tried to teach without a pattern, which was difficult for me having nothing to look at. There wasn't' enough time to finish in class so I was sent home with an unfinished project. I did manage to finish it on my own and even struggled through the process to make a second one. I gathered that most of the other people who made the pillow shams were regulars and enjoyed the chit-chat, and had no problem with taking home an unfinished project. The whole experience made me feel like an incompetent outsider. The instructor obviously was not prepared for a relative beginner. Given a different instructor, I'm sure it would have been a totally different experience, but I have never gone back to try a different class. In contrast, I have taken several Craftsy classes and have had good experiences with each one. They generally are well explained keeping the beginner in mind. Although I have been confused with the video, and would have liked to have been able to ask a question and been shown exactly how to solve a problem, I have found that, after re-watching, I can generally figure out. I enjoy taking Craftsy classes and have taken quite a few. I like how I can watch them when I can, which is great for me! I would like to take classes with "real people", but the fabric stores near me don't have classes that are my style. Maureen, first, I love your new quilt! I love all of your quilts! I've taken in person classes and enjoy them. I've also attended Quilting conferences (like QuiltCon and SewDown) and attended their workshops. I love the in person classes because you have the opportunity to ask questions and also learn from those around you. I've also taken a couple of Craftsy classes and like the ability to watch/do it when it is convenient for me. But I do miss hearing from the instructors, that often had more to say in person. All that being said, if you did a Craftsy class, I'd be there! I sat at a sewing machine for the first time a few years ago when I decides I wanted to learn quilting. I took a great beginners class and now go back every year for what I call advanced. Learning new techniques such as paper piecing this year. I usually make 2 quilts at a time and really enjoy my teacher. She made the class not only affordable but enjoyable. I urge everyone to go take a class at your favorite quilt shop to enjoy the company of wonderful woman and men who have the love of fabric. I think I'm one of the few that don't love online classes, a technique tutorial is one thing but I much prefer talking face to face with someone passionate about the subject they are teaching, being able to ask questions, touch samples and learn with people in the room with me. It just seems more fitting and a better way of "cementing" the experience in my mind. I absolutely love your quilts!! I really hope that one day you do a quilt along or something that shows a little about your process when putting all the block/s together. I do like classes at quilt shops but not many are offered in my community. I like Crafsty classes as I can fit them into my schedule and generally the price is reasonable. I also like tutorials on some websites as they are short and show me a new technique. I like hearing the person who is teaching, seeing their hands make something. Most of all just hearing how they think, how they decided to put the colors together, why they turned the block around a certain way...it all inspires me to think beyond a pattern and to open my eyes for a new look at my stash. You say you just sew till the fabric runs out, I think there is more to it than that and would love to hear you say how you see the fabrics come together. Thank you for your website and quilts. I love face-to-face classes when I can get them. I've driven from Washington state to Ohio, Oregon and Florida for classes!! However, my dear husband doesn't really like how long I am gone when I do these trips, so closer to home is better for me. I have purchased several Craftsy classes and I like them, but I really like the interaction in a class with live students and teacher best. I love technique tutorials on blogs. I love learning about quilting so much, that I an willing to learn about it any where, any way I can! I like both! I prefer face to face but like craftsy because I can go back again and again if I forget something or need to see it yet again. I wish I was closer to you so I could come to a class!! I find that some classes for the working woman are not convenient. I did take a wonderful class a couple years ago and met a wonderful person who is now one of my best friends as well. We get together to sew at her home once a week now when we can. Just wanted to say I love your work and your blog! I have only taken face-to-face classes. As those require a commitment I am bound to go. As for Craftsy, I love the selection but am always finding some reason I might not be able to watch it in full immediately so I don't purchase them. Love your quilts. I have taken the craftsy classes to learn what I can, living in rural Pa there are not quilting shops near enough to go to a class. Wish I would be able to go to a "real class" sometime. but have to say the Craftsy classes are wonderful. I have taken a few craftsy classes because the only classes offered locally are extremely traditional and don't interest me in the least. However, my preference would be for an in person class. I like the talking to other students aspect and I find you will always learn more when you have the opportunity to have a conversation with the teacher. beautiful quilts Maureen. Love how pretty all these colors are and they play together so very nicely. I've taken several classes through Craftsy and I love them! I love them because if I forget how to do something I have the option to watch and learn again as many times as I like. It fits my schedule and life. I've taken many in person classes at my LQS. I love doing that! I tried Craftsy a few times, and while I fully appreciate that those classes are available, I love being in the classroom with other people and learning with actual people there to help me, inspire me, have fun with me. I learned absolutely everything I know from in-person classes and sewing with other people in the same room, even if that means I leanred that I DON'T want to do certain things the wat other people do them. I would take a class from you in a heartbeat if I could! You're the only quilt blog that I actually check every single day. If you ever come to Houston to teach a class I will be there!!!! I have taken tons of classes at my local quilt shop. I love it. You learn new stuff, you make new friends and it gets me out of the house. I really enjoy my in person classes. But I also have taken several on-line classes and have enjoyed them also. I like that I can do them from home at my convenience and in my Jammie's. I've learned just about all I know from blogs like yours (thanks btw) and Craftsy. Craftsy works well for me. I've only taken one class from my guild. I started quilting when I had my son 2.5 years back and everything I have learned is through YouTube and Craftsy. I am a confident peicer as well as free motion quilter. Having young kids, doesn't let me take class face-to-face. With craftsy, I can watch the video any time I want and also interact with the instructor and get feedback. So, highly rely on online learning. Face-to-face would be fun, but its a luxury which I can only dream off for now. By the way, forgot to mention you're quilts are beautiful. I am in love with the print you used for backing! I've taken several in-person classes and really enjoyed them. I do know I'm lucky, because I've witnessed some terrible teachers. I learn a lot in classes by asking questions, getting personalized instruction, and chatting with other students. Since my local quilt shop closed almost two years ago, I haven't taken any because of the distance to other shops and I've considered online classes because of this, but have yet to try them. I think a class on quilting as you go would do well - I just saw one advertised (out of state). I'm such a fan, I'd love to take one of your classes! I have never watched any Craftsy class that I have purchased. Face-to-face wins every time for me. I have taken about three or four classes a year since I started quilting. I've never taken an in-person class, but I've enjoyed the Craftsy classes that I've done. I have a 16 month old and I'm just way too busy at the moment to take an actual class, so I do like the online platform. I take a lot of quilting classes, and I really enjoy learning new things. I am a relatively new quilter, so I take classes on the basics of everything. Fortunately, I live in an area with an active "not-modern" guild that offers classes monthly. We also have a local quilt shop where I've taken classes. I much prefer in-person classes. I don't tend to follow through with Craftsy classes (or blog land tutorials). I think most quilters have something to share, and I know you do. Go for it! I've done in person and Craftsy classes, but the in person ones have always been big classes, so I'm not sure it was of any more benefit than being in an online class. I've done some smaller classes that were non-sewing though, and I like the idea that someone would actually have time to spend showing me something I found tricky in person. I've never taken a class due to family commitments and taught myself to quilt with a modashop tutorial and library books. I doubt out town has any/many modern quilters. I've not tried Craftsy. I guess I find answers on the internet and like to make my own way. I Love your style of quilt making. I love your quilting and I would definitely take a Craftsy class from you. I've taken many Craftsy classes. I've taken local quilting classes also. I do have a favorite local teacher, who I think is second to none. But taking local classes limits one to a few offerings. On line classes open a whole world of quilting and crafting. I find Cratsy to be my favorite forum. I've never taken in person classes, but I'd love to. I tried studying university classes by distance once and it didn't work for me. I've found online sewing courses the same. I'm motivated by having a certain time and date and people to meet! The next best thing for me has been sewing retreats with friends. I haven't really learnt new skills but it's been fun to discuss and have input and encouragement about layout and colours. Living in a rural area, I don't get an opportunity to go somewhere for a workshop or class. I'd be interested in an online type thing where I could access it at a time convenient for me. I've not used any online classes, however I've found some of the tutorials on various sites helpful. 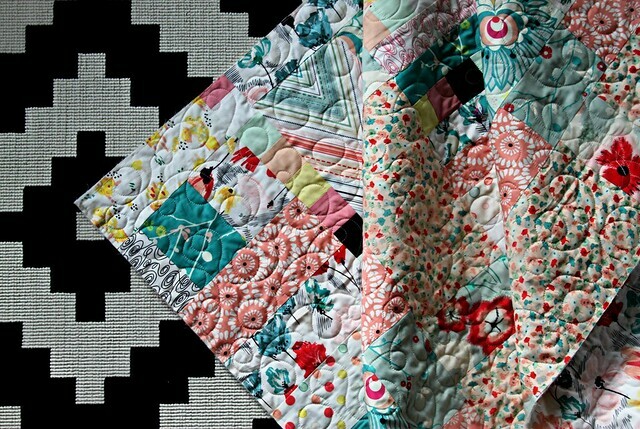 I would love to learn to long arm quilt! I have had a lesson on a Linney...last year, no a couple years ago. How far are you from Philadelphia? I am a fan of your work! Classes at my LQS are responsible for how far I've come...Craftsy is a newly discovered way to learn. I love both ... and I'd love to take a class from you!!! I haven't tried an online class so I can't offer a comparison. I have however, been to quilting classes. Even though I had to share the instructor with 5 other students I still loved it. For several reasons: I got to see how others fared at new techniques and so wasn't too hard on myself and my wonky or erroneous stitching; I love being around other creative people on a regular basis; I was inspired by others' work (we were all sewing different projects, all at different levels); And it got me out of the house for some much needed me time. I've done a few classes both online and in person. I do prefer in person, but, online is good too. In person classes are fun because of the interaction and you get to see what others are doing. Online is good because you can take your time and do it in your pj's! I've done a few classes with Craftsy, they are done really well and I probably wouldn't have been able to take a class in the instruction otherwise. Are you going to do a Craftsy class? I'd take it! I don't work at the same pace or (seemingly) with the same process as most other quilters in classes I have taken. I often find myself behind the rest of the class and dividing my attention between what I'm working on, and what the class has moved on too, only to get home later frustrated. I also have a pretty tight schedule that doesn't coincide with times classes are offered at my local quilt shops. I much prefer Craftsy classes and You Tube videos where I can watch at my own pace, take notes, and re-watch a technique over and over until I feel confident in it. And bang for your buck, it's formats like Craftsy that really return on the dollar because you own the information forever and don't have to rely on memory. I am a wonky quilter and don't use many patterns. I enjoy the social interraction of classes and guilds, but I really learn best when I using online tools and exploring at my own pace. Ironically, I am a locovore and really believe in supporting local business which include independent teachers but in this case... As for your quilts! All I have to do is open my Bloglovin and I know what is yours before I ever see the names. I love your work and your style. I like both but get more out of the face to face classes. Internet at my house isn't the best so I get frustrated doing on line video classes. I've enjoyed online classes from the Fat Quarter shop. They are extremely helpful. I've taken face to face classes too. They are easier to ask questions when the class is small and there is not a teacher hogger. That is very annoying. I like in person better. I always learn something either way. Follow your heart. I admire anyone that can teach. If I want to do a face to face quilt class in here in CT, I have to travel on the train to NYC City Quilter. Its expensive, inconvenient at times, so I have actually taken a dozen Craftsy classes as I like doing it with I can on my own timetable. Obviously, the missing factor is the comraderie. I'm a relative newbie to quilting and most of what I've learned so far has been from blog tutorials and youtube videos. I live in Centre County, PA and I would absolutely participate in a class or retreat with you :-) Love your quilting style! I'd take your class! I've been to the Fat Quarterly Retreat last year, and it was awesome but exhausting! No modern quilting classes where I live either. What was so wonderful about the retreat Was the camaraderie and fellowship, as well as the hands on f the experience. I think online courses can be good, but I know myself-- I don't do it all at once so I may not get the best out of it. Still, being able to go back and look through is really valuable too. I like the tidbits you pick up online too, but I prefer face to face classes. I learnt my quilt making at comunity ed clases held at a local-ish high school. I probably did that for three years but then felt they were not longer meeting my needs. I haven't done online courses but often follow online/blog based tutorials, etc. Sometimes I search for a youtube vid. like both but get more out of the face to face classes. Internet at my house isn't the best so I get frustrated doing on line video classes. 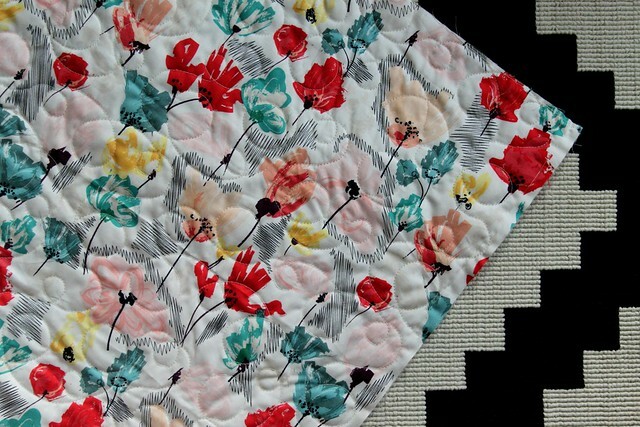 i Follow Canton Village Quilt Work's blog and facebook page! I really love this quilt. The print on the back is gorgeous.